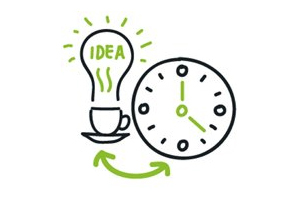 The next University of Southampton Researchers’ Café will take place on Friday 12 June from 6.30 to 8pm in Mettricks Tea and Coffee House, 117 High Street, Southampton. The Researchers’ Café gives staff, students and members of the public the opportunity to hear about topical research issues and discuss them in an informal space. Is climate change affecting the Arctic? Is this just another warm phase? Can we use the past as analogue for the future? It’s getting warmer, things are going to change, so what? Anna will introduce the existing technologies in neuromotor rehabilitation and then discuss the future challenges based on her own experience in developing a new hand rehabilitation system. Robin will talk about what we can and can’t see from satellites, how scientific satellite images are different from Google Earth, and why they are important. Find out how satellites can be used to monitor things like air pollution and plant health, and explore what the future might hold. For further information visit www.soton.ac.uk/researcherscafe, join the Facebook group “Researchers’ Café” and follow @ResearchersCafe on twitter.